Many home buyers and home sellers in Maryland are asking themselves whether or not they should use Redfin (RDFN) to buy or sell their home. They are worried about whether they’ll get the same service or somehow make less money, or do more work themselves if they use Redfin. Redfin is great. It is NOT a do-it-yourself or for sale by owner (FSBO) service by any stretch–this is a myth that seems to be very common. You get the same service from qualified real estate agents, or better from Redfin as you do from traditional agents, only cheaper and often more efficiently. I have sold my home in Howard County Maryland and bought new homes using agents from various well-known agencies and there has been no real difference at all–at least not on the downside. On the other hand, there have been some very important enhancements that I did not get using other agencies. Read my review below to find out more about why I whole-heartedly recommend choosing Redfin. Those are just statistics, and your mileage may vary, but that’s really just the beginning of why Redfin is superior to agencies such as Long and Foster, Coldwell Banker, Century 21, and Remax. If you’ve done some reading then you know that Redfin is only charging a 1% commission for selling your home in some parts of the USA, including Maryland. This is a huge savings compared to the 3% traditional agents charge. When you use Redfin to help you buy a home, they give you a rebate on part of their commission (Ours was over $2,500)–so you will save money both buying and selling with them. But really, that’s just the beginning of the benefits of using this company. That sounds great, but it’s going to make you wonder: Why is Redfin charging less money than regular agents, and what really are the differences? They say they make the money up in volume, and I am pretty sure this is true. Honestly, the traditional agencies should be worried, and they are starting to be. My listing agent (the agent that helps you sell your home) from Redfin, lifelong Marylander Brandon Hoffman, sold 54 houses in Howard County, MD last year. That is a high number. Most real estate agents are going to sell an average of 5-15 properties per year. Obviously some agents do sell more than 54, but Brandon said that this volume of home sales keeps an agent very busy. Redfin’s agents always work as a team, so I never felt like I couldn’t get answers when I needed them. One way our agent balanced this was by only selling homes. He didn’t ever take people out to show them properties to buy. We used a different set of agents from Redfin for that. I know a few agents and they are definitely good people, but even so, their incentives and motivations may not always be in what you hired them to do for you. Having an agent that is on salary is great–both when you are trying to buy a home or sell one. They really don’t care if you buy a house or not. In fact, Redfin agents get a bonus based on customer satisfaction surveys…so they want you to be happy and have a disincentive to be pushy. They are also encouraged to be honest, and I can tell you based on my experiences with the company that they definitely did share opinions on the homes we visited that I wouldn’t have expected from a typical agent. Redfin gives you a few bonus items you may not have included with one of the usual suspect agencies. First off, they give you $250 towards fixing up your home to sell. This could include handymen to make repairs, landscapers, etc. You give them the receipt, they give you up to $250 back. It’s not that $250 is such a large amount, but it’s that they bother to put a bit more skin in the game. We used the money to have a handyman out to make some repairs for us. We sent them a receipt for the work, they mailed us a check. It was that simple. Like most agencies, Redfin will create a brochure for your home. Redfin did a full color double-sided brochure, it was very professional and definitely added to our home’s marketing. Redfin also provides a photographer and a 3-D tour of your home. Most agencies will help you get a photographer. 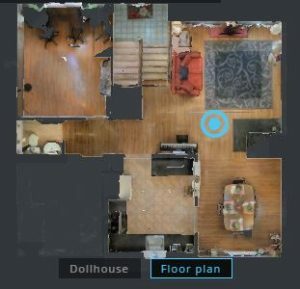 Redfin gets you two, included in their service: One to take traditional photographs, the other to make a 3-D tour and a digitally created “dollhouse” and floor plan view of your home. Both of these help your home standout. The Redfin website and the Redfin mobile app for Android or iOS are very popular with home searchers–even those not using Redfin to buy or sell a home. When you do list your home with Redfin, they give you an advantage over other listings by putting your home listing above other non-redfin results. This gives your property exposure other competing homes don’t have. It really worked well for us. The home I sold with Redfin is nothing spectacular, and was market-priced, but we had quite a bit of traffic to our home. We had about 50 tours in 4 days with 10 offers tendered. This is as much about the housing marketed in Howard County Maryland as it is about Redfin, but I am confident that being on Redfin’s website helped us make this happen. What you should know is that when you list with Redfin, they do also syndicate your home with the MLS system, so your property will wind up on Zillow, Trulia, Realestate.com, and the other common real estate websites. Redfin’s agents have gone way above and beyond the call of duty for us, getting us timely information quickly and working with us late into the night (even on weekends) on the sale of our old home and purchase of our new home. They did an amazing job of taking care of us and made us feel comfortable through the entire home sale and purchasing process. Again, I must point out that since they are on salary and get bonuses based on customer satisfaction surveys, their motives were different than many agents. I never felt any pressure whatsoever to sell or buy a home from them. I am sure they’d rather not waste their time, but being on salary clearly would make a big difference for many agents. Another perk for Redfin is that the whole process is tracked in their website’s “home dashboard” where you can login and see what’s due, and get access to upload sensitive documents and sign papers electronically. Redfin was excellent at providing recommendations for service providers after the contracts were written. They gave a very good recommendation for a home inspector for our new home–4U Home Inspection. Like Redfin, they handled appointment setup and payments online. Redfin’s agent was with us the entire time our new home was being inspected and they were able to provide additional knowledgeable explanations for the inspectors findings. Our Redfin agent supported us the whole way through in negotiating additional repairs with the sellers and helped us to move our settlement up to the fastest possible closing. I was reassured the entire time. We both bought and sold a home through Redfin. As mentioned earlier, our experience in house shopping with Redfin was very positive. We really liked using the Redfin app and website to find and “favorite” homes. When my wife and I both found a home we felt might meet our needs, we would schedule a tour with the click of a button. 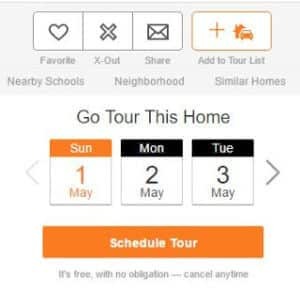 These tours are “on demand” and you’re able to request a tour for just one house or as many as you can fit into a day. Generally, you just need to give a few hours notice and a Redfin agent will meet you to show the home. We had one “main” agent (Dan Borowy) who would be the preferred agent to show us a home, but in practice, we worked with about 7 different agents that were on his team as we visited various properties around Laurel, Clarksville, Elkridge, and Ellicott City. That was fine with us as we liked each one of them and each one had their own styles and insights that were helpful for us to take along with us. In the end, several of them were our “eyes” and helped us by sending us to properties they had seen recently to may have been right for us. When we finally found a property we wanted, the agent who showed us the property worked with our primary agent to get our offer in. With such a competitive market, they knew time was of the essence. I can tell you that our agent was happy to work well into the night on a Saturday evening getting our contracts together and submitting it. We could not have been more happy with the experience. I had a really great home sale and home purchase experience working with the Howard County, Maryland Redfin Realty team. They were professional, honest and very responsive whenever I needed them. If you live in an area where Redfin is available, don’t hesitate–use their service. 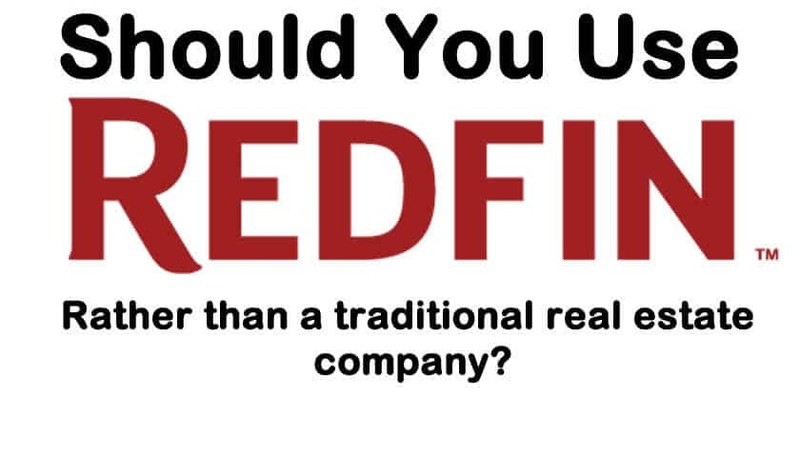 I know there will be plenty of non-Redfin agents who will take offense to this post, but I think it’s mainly because Redfin is successfully changing the real estate business model and they realize their is nothing they can do–although I do expect there will be Redfin competitors, I don’t think the old model has very much chance for survival in the coming years. Redfin is just too big of an improvement. More from Eron: Looking for birthday present ideas for kids? Need ideas for kids birthday parties? Want to save money using Republic Wireless or Project Fi for your mobile phone service?